Mr Patrick Tansley or Dr Sugitha Seneviratne will provide a tailored costing of your procedure during your consultation. 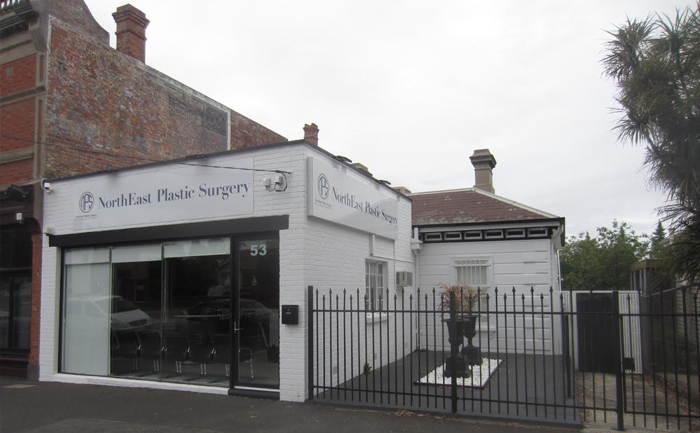 The Australian Medical Board’s guidelines for advertising regulated health services discourages plastic surgeons from advertising set prices for procedures. Due to these guidelines, we do not provide patients with cost-per-procedure information. We are also happy to provide approximate costs for out-of-pocket expenses before your initial consultation. Please contact our office on 03 9088 5000, or submit an online enquiry to find out more. The cost of your initial consultation is $175 ($225 for weekend consultation), a portion of which may be claimed from Medicare if you have a referral from your GP. If you are eligible for surgery, your surgeon may ask you to adjust or cease some of your medication in the lead-up to the procedure or to undergo a series of diagnostic tests to assess your fitness for anaesthesia. It is essential that smoking ceases six weeks prior to and after the surgery to minimise the risk of surgical wound complications and anaesthesia. The pre-operative consultation is also a good time for you to ask the surgeon about any concerns you may have. Depending on your clinical requirements you may be required to stay in hospital for two to three days following your surgery or the procedure can be performed as a day surgery. The drainage tubes are removed in the days after surgery and you will be discharged with a compression garment that you must wear for four weeks after surgery. It is very important that you take the prescribed pain medication and antibiotics as they will assist in minimising discomfort and potential wound complications. You are also strongly encouraged to seek urgent medical attention if you have any concerns related to the surgery or experience excessive bleeding, pain uncontrolled by medication, redness of the abdominal area or a temperature over 38 degrees Celsius. Swelling and bruising is normal after an abdominoplasty. Generally, these tend to increase in the first three to five days after surgery, and improve between five and 10 days later. It may take several months for all swelling to subside completely. Sensation of the abdominal skin may also be affected but typically returns to normal after a few months. You can expect your wounds to heal within approximately three weeks. During this time, you should move with care to optimise wound healing. Driving can be resumed three weeks after surgery and are able to walk comfortably, while strenuous exercise should not be resumed until six to eight weeks post-surgery. Many patients find they can return to work after approximately three weeks. While the surgeons will make every effort to minimise the degree of scarring, scars will form around the umbilicus and bikini line. Scar formation varies from patient to patient. The surgeons will inform you of scar management strategies to assist in reducing the thickness of scarring and soft tissue swelling. You may not appreciate the full extent of the abdominoplasty for many months while there is still substantial soft tissue swelling of the area. Further surgery to address the above complications, asymmetry or skin excess laterally known as “dogears”. Risks specific to abdominoplasty include swelling, redness and numbness of the skin. In many patients, these improve within 18 months to two years. Scar irregularities requiring revisional surgery are necessary for approximately 5 per cent of abdominoplasty patients. Please note that due to patient privacy, before & after photos of our procedures are not available online. During your consultation, you may ask your surgeon to show you photos of our patients who have consented to the private and discrete use of their before & after photos.